Electric, tankless water heaters have come a long way, providing endless hot water for all demands in your home and business. 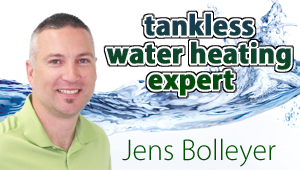 From a small, seldom-used guest bathroom to a whole-house application, tankless water heaters are available in many sizes designed to meet specific needs. Small units that fit under the sink are perfect for a bathroom; mid-sized options can accommodate a bathroom and laundry area or a kitchen, while a larger, stylishly-designed wall-mounted unit can provide endless hot water for a whole house. Tankless water heaters only consume energy when there is a demand for hot water, unlike the tank heater which wastes energy by constantly heating water 24/7/365. Check out the many size options of tankless water heaters designed to meet your specific needs at www.ecosmartus.com.